Four generations tied to the passion for ceramic production and distribution. 1920: The brothers Amedeo Meinardi and Emanuele Meinardi, born in Bologna and both former state railroad officials, are recruited by the company “Monari Vitolo & C.”, who is already owner of the “Industrie Riunite Faentine” company based in Bologna and that has found in 1914 the “Premiata Manifatture Ceramiche – Ex Fabbrica Farina” based in Faenza, Canal Granden street nr. 2 . The company “Monari Vitolo & C.” also had a sales point named “Sociale Commerciale Materiali Edili” in Bologna, Galliera street nr.22 a Commercial Direction in Florence, Zannetti street nr.3 and also the “ Fornaci Val di Chiana” a building material factory in Siena area . In these “Monari Vitolo & C” various sales and distribution and production points, Meinardi brothers, having a higher education and knowing foreign languages, alternately engage in business administration and management. Transferred in Faenza for reasons of control and production management, the Meinardi brothers reside from 1921 to 1944, with their respective families, in the property available flats. Canal Grande street nr.2 in Faenza, in addition to the traditional ornamental ceramic sector (award-winning at various international exhibitions), which had autonomous management, there it was an industrial production of wall decorative tiles, that were used in Liberty style buildings. The production used a 32-type “mouth monolayer oven” oven, installed by the previous “Popper and Chiozzini” management. Despite strong investments in plant adjustment and the intervention of skilled craftsmen in the decorative and enamelling department, the production of tile was often interrupted, causing considerable economic damages. Traditional pottery production, despite the work of prestigious painters and sculptors, was affected by the economic crisis and in 1925 the property “Monari Vitolo & C.” tried to sell the company to its employees who, having insufficient economic resources, had to renounce and the “Monte di Credito e su pegno” and “Cassa di Risparmio di Faenza”, as the largest creditors, became owners of the property. 1926: Amedeo Meinardi, with the financial help of the uncle of the company ” Meinardi D.G. Spa ” located in Genoa and specialized in marine supplies, and together with two employees Marcello Zanetti and Roberto Mazza, takes over the management of ” Ex Fabbrica Farina “, forming the new company ” Meinardi A. & c. Snc”; his older brother Emanuele, who had been retired from state railroad, joined the company’s accounting. The trademark consists of two superimposed triangles in the shape of a six-pointed star with a center “F” (Farina) and the “Faenza” word. The new production is mainly specialized in traditional ceramic furnishings such as decorated vases and tableware and tile production, both for indoor and outdoor use, commissioned and exclusively made on final customer commission. This production was also requested as the composition of several tiles, which, coupled to each other, were used as major advertising signs of commercial activity. Production goes beyond Italian borders and is also marketed in countries such as Germany and Peru. In Germany, the new large coal-fired furnace, powered by coal and lignite, is launched in Germany, allowing a stable temperature of continuous cooking and production with excellent quality results, especially in the production of monochrome tiles. 1936: Amedeo Meinardi, during the World War II nefarious events, dies for complications after an aggression suffered by the defense of his company and of his employees. Alessandro, the eldest son of Amedeo Meinardi, will continue in the company’s management until the closure of the manufacturing plant, destroyed by the bombing of 1944. At the end of the Second World War, Alessandro Meinardi was hired by the bank institute “ Banca Popolare di Faenza”. 1955: Alessandro, resigned from the bank, opened a shop in Matteotti street nr.38 in Faenza, exhibiting and selling ceramic materials with representation of the “S.P.I.C.A.” . Helped by his wife Anna, Alessandro, who has remarkable skills of entrepreneurship, communicative and commercial abilities over the media, positively develops the reborn activity: Alessandro, well-known in the hometown as in the ceramic production world, also has various institutional rules in sports local club, including fishing. He is an hunting enthusiast, collector of ornamental ceramic and of painting and also expert philatelic collector, Alessandro contributes actively to the cultural and social revival of the home town just after the destruction of the war. 1967: The strong post-war building development imposes on Alessandro Meinardi the request for help to his son Amedeo, who carries the name of his paternal grandfather. The new corporate site in Cova street in Faenza allows the installation of one of the first showrooms for sale of ceramics and bathroom accessories with attached the storage of ready to deliver materials. 1975: the company Meinardi A. & C. Snc moved to Frà Sabba from Castiglione square nr.9 in Faenza, where it will remain active until 2008. Unfortunately, this new site and the evolution of its own company can not be seen by the founder Alessandro. In the early 1980s, he died by natural causes. 1990: Tommaso Meinardi, son of Amedeo Meinardi, completed his studies and fathered the company in management. After a few years of consolidated experience in the daily warehouse business and sales in showroom, Tommaso Meinardi holds the logistic and operational management of the company, structuring and modifying important business assets. 2000: the need to have a larger showroom and the intention to introduce new product categories, marks the opening of a new facility in Volta street nr.2 in Faenza. Over the course of a few years, the new facility will become head office and, in 2008, it will also add the warehousing of goods. 2004: The new asset management is formalized with the change of social name in “Meinardi Alessandro di Meinardi Tommaso & C. Sas”. 2009: the show room on Volta street nr.2 is completely renovated trying to get a versatile and dynamic structure following the continuous changes required by the building market. 2016: joining the union of the Meinardi family, arch. Michele Meinardi and arch. Andrea Meinardi, both Tommaso Meinardi cousins, start collaborating with the company. 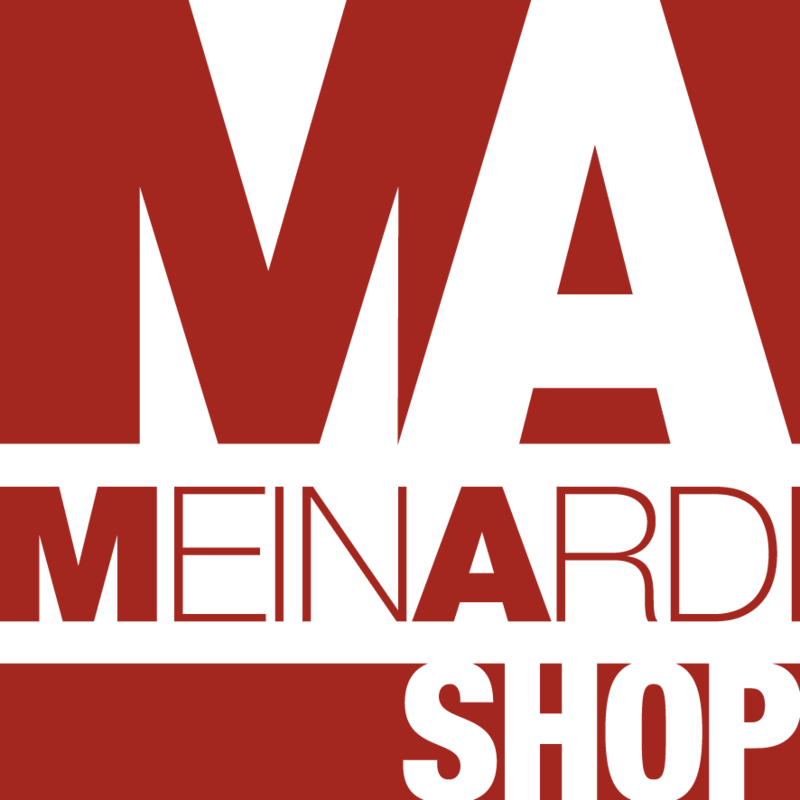 The company Meinardi has evolved and consolidated over time by guaranteeing its customers the choice of materials, continuous products research, competitive quotes and the greatest added value possible: the people who work daily within the company.